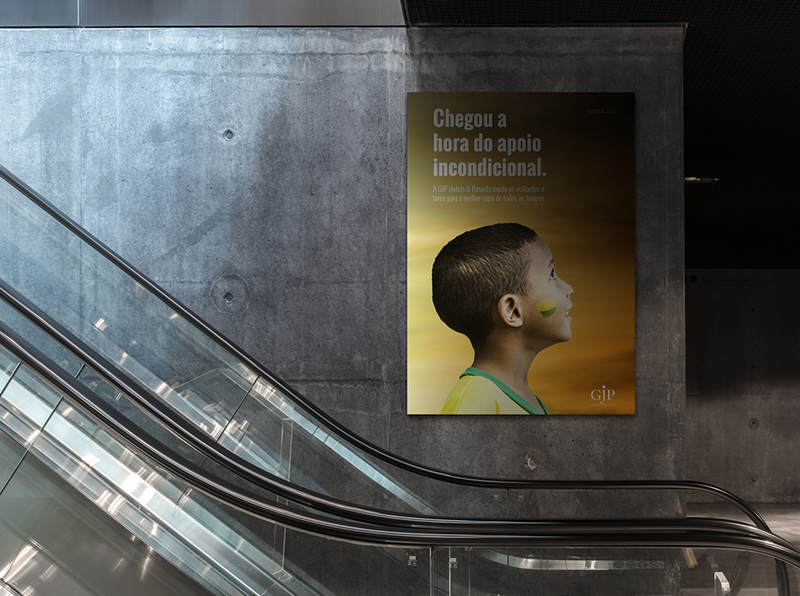 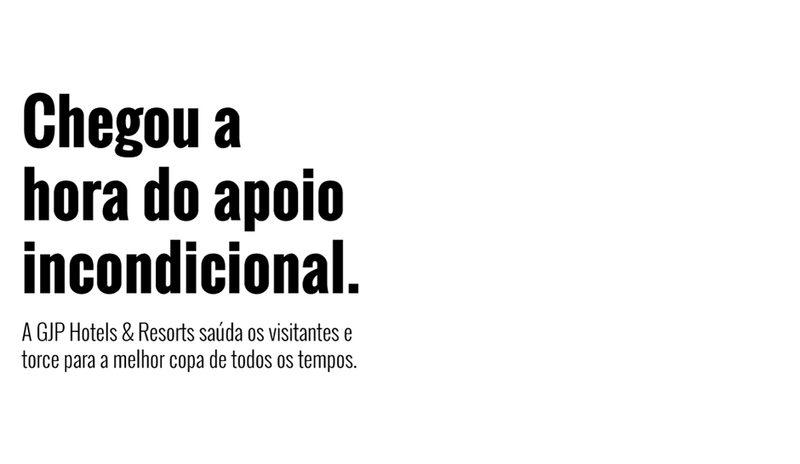 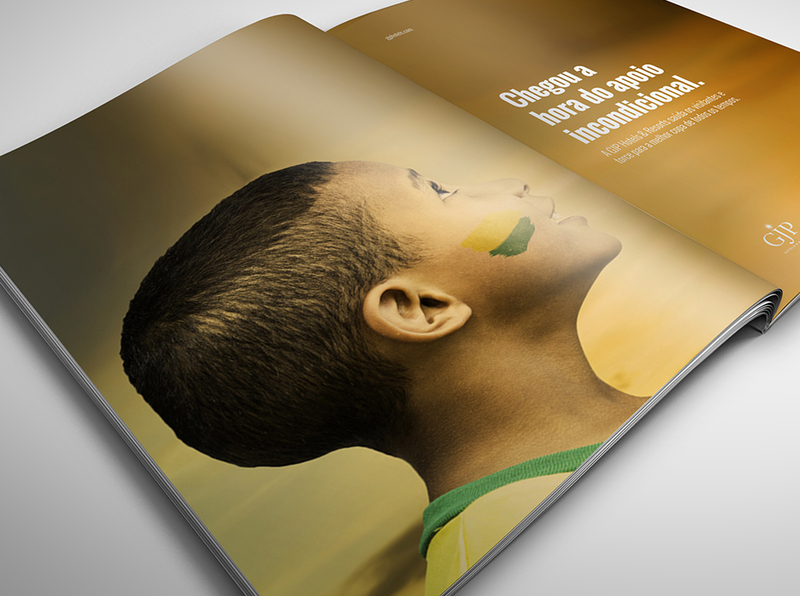 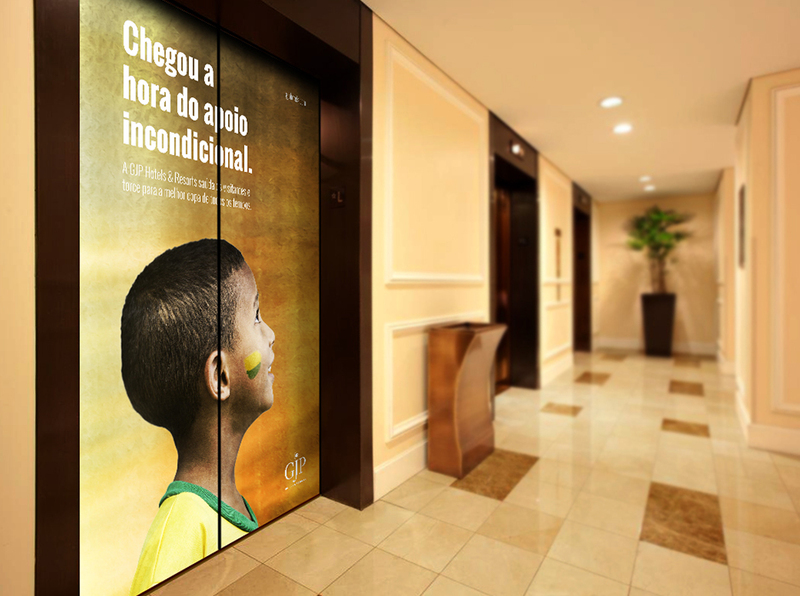 Promotional piece developed for GJP Hotels & Resorts during the 2014 Fifa World Cup. 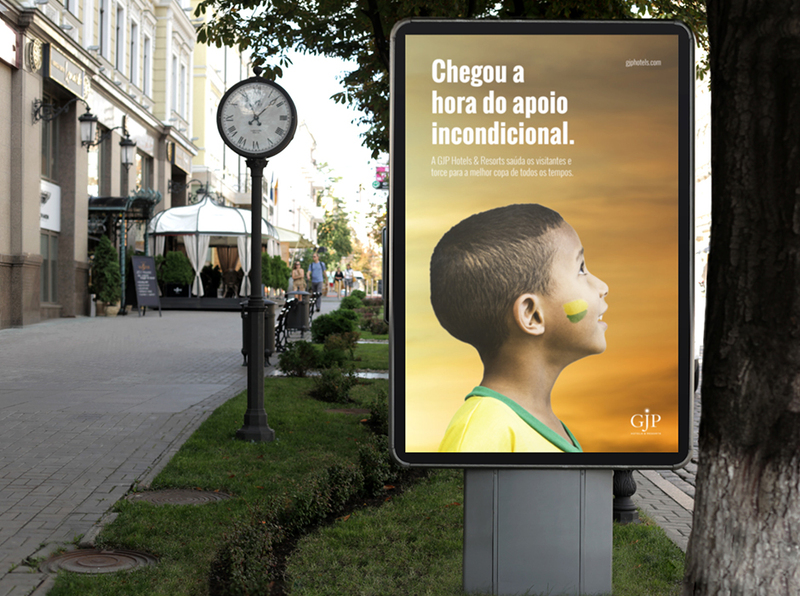 The brief was to create a piece to welcome GJP Hotel & Resorts guests and to encourage everyone to support Brazil during the 2014 Fifa World Cup. 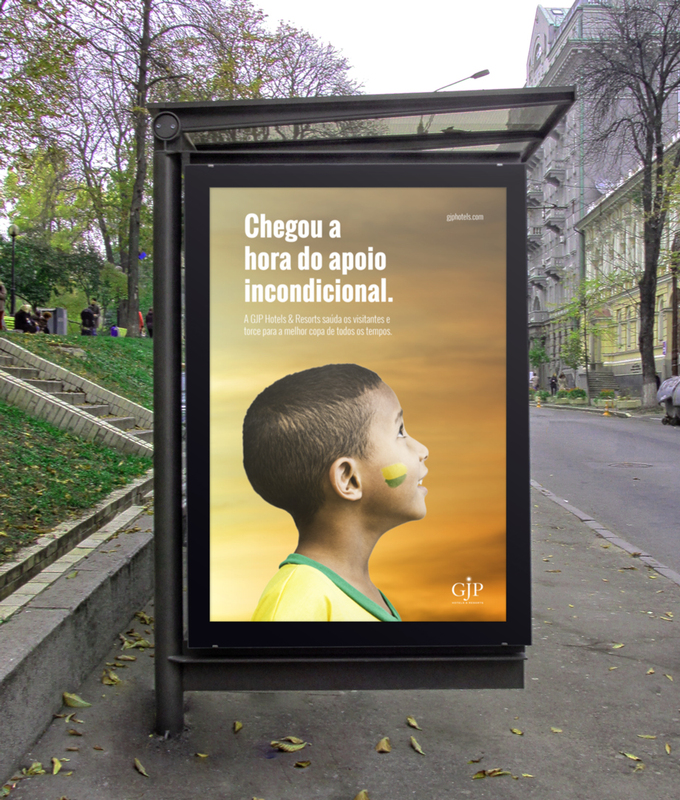 Given the social moment Brazil was living, such as constant riots and political issues, the challenge was to transmit positive thoughts despite all, symbolized through the looking of hope of a child.